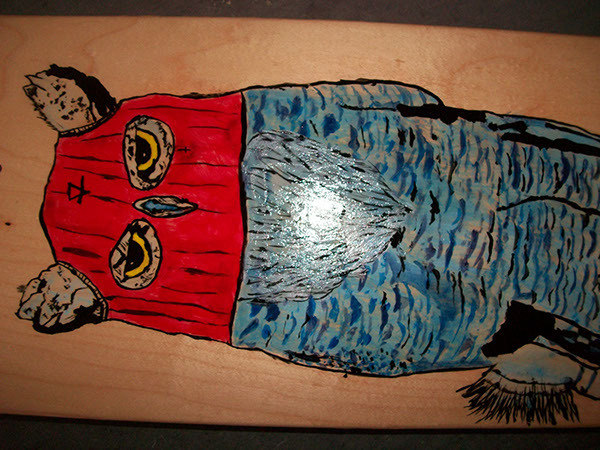 Skate deck art that a local rapper was interested in buying off of me. 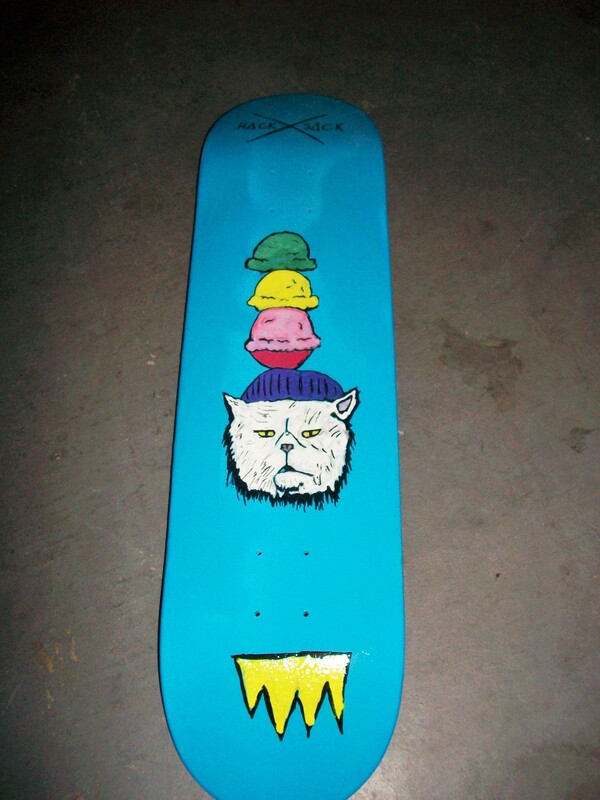 The medium used was spray paint for the background, paint pens for the artwork, and a gloss finish to avoid the skateboard art being chipped away. 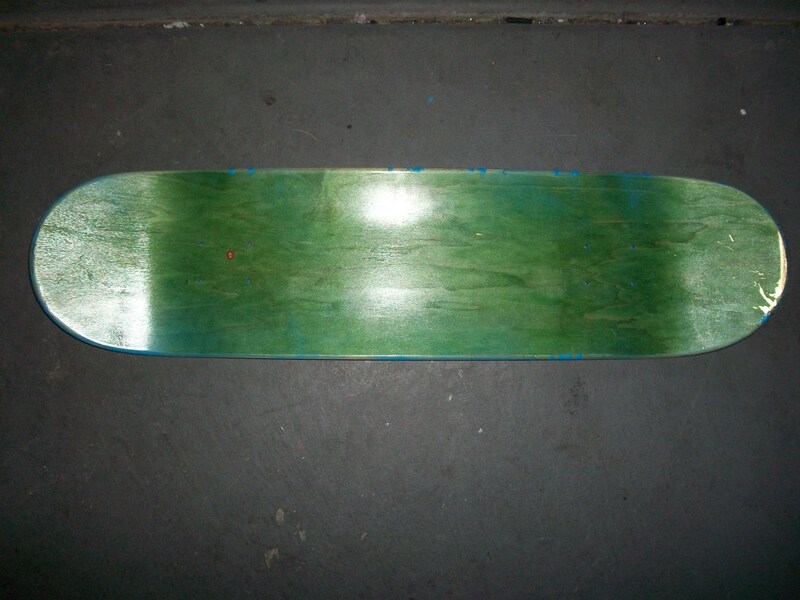 I began skateboarding at around 11 or 12, which was about 8 or 9 years ago. 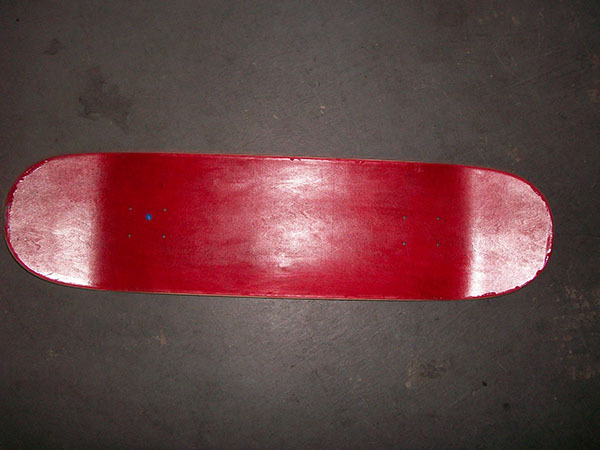 I got a Big 5 skateboard, which I’m not sure if some of you know this, but a skateboard from a sporting good store or Wal-Mart are pretty low par. 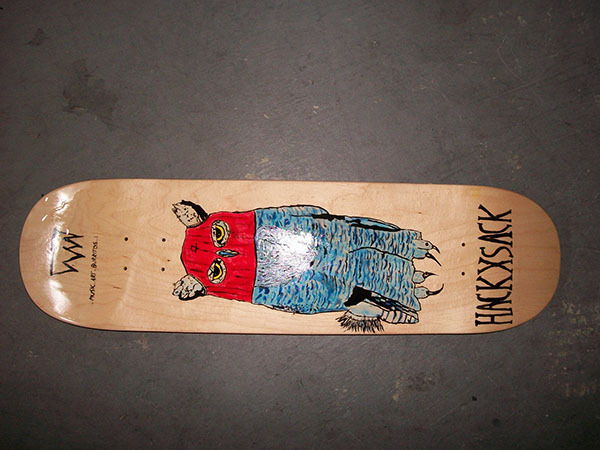 To give you an idea, skateboards costs about 38 bucks (the price of the average decent skateboard deck). Anyways, my skateboard skills never really improved because my skateboard could barely move let alone be do tricks. Now I’m doing artwork which is inspired by high school themes. 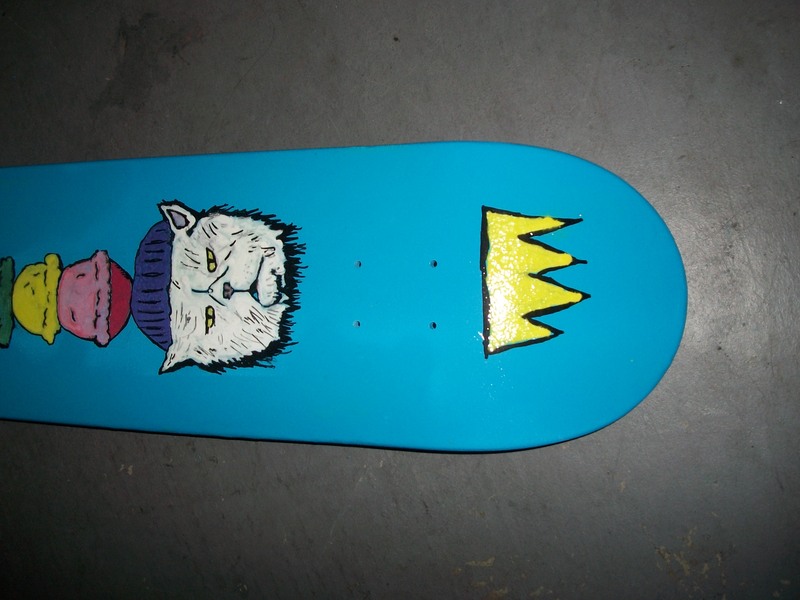 This is an older picture from my behance page but it has now been turned into a usable skateboard, which can be seen here.